ARCS® Foundation and individual members have been recognized for continuous efforts on behalf of students and the American public. We are proud to serve, and we are honored by the awards and tributes. In 2009, the Council for Advancement and Support of Education (CASE) singled out ARCS Foundation for its highest award — the James L. Fisher Award for Distinguished Service to Education. At the time of the award, CASE cited ARCS Foundation for its granting of more than 13,000 scholar awards valued at $66 million to some 7,700 students over 50 years. 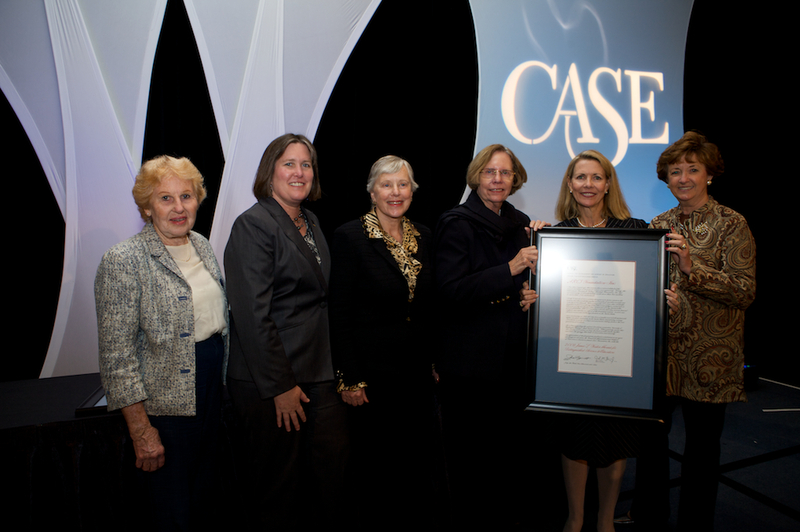 CASE serves more than 3,400 universities, colleges and independent primary and secondary schools in 61 countries with resources for professional development, information and standards in the fields of educational fundraising, communications, marketing and alumni relations and gives its Distinguished Service Award to recognize significant achievement in educational missions and vision. View the 2009 CASE Award and the Case Award Nominating Letters. One ARCS Light is named each year by a Chapter. The ARCS Light selection is based on extraordinary service and personal leadership benefitting her Chapter during the year. All Chapter ARCS Lights are honored during the ARCS Foundation National Annual Meeting. Read about our recent winners.